The Indiana Department of Education announced Wednesday that $5 million is owed the state's schools because of savings achieved through school vouchers. Melissa Ambre, DOE director of school finance, wrote in a memo to members of the State Budget Committee, that even though there was roughly $5 million saved, the state only had enough money to return $3.3 million to schools. But opponents, led by the state's teachers unions, have said the state is still spending less on public schools than before the recession. "Public schools aren't getting the money that's been cut from the budget," said Rick Muir, president of the American Federation of Teachers-Indiana. "They can claim that all they want, but public schools are receiving much less funding than they have prior to vouchers." Since 1967, the BRVA has been the "only game in town.". And why not? The Village is a pretty small town. Over the years, they watched over things in Broad Ripple, tried to make things interesting and have some fun. Because of that, you and I got the idea that the BRVA was a community organization ...a group that looked out for all of us and worked to preserve the Broad Ripple we all love. That was our bad. The BRVA is a business organization. That's OK. What would Broad Ripple be without all the little shops and bars and restaurants? There was never any BIG money to be made ...so the businesses looked out for the residents and visitors and vice-versa. Until the BIG money came to the Village. Let's face it ...for all of the wonderful new village-like things that have happened in other neighborhoods and downtown ...Broad Ripple is the coolest and the original. The only problem was ...there was never any way to make any BIG money from it. That changed 2 or 3 years ago. BIG corporations that wanted to pretend that they were small, locally-owned shops developed plans to get taxpayer money to install themselves in the coolest neighborhoods in every city in America. Those corporations perfected their plan with the magic ingredient of TIF funds. NOW, not only did the BIG corporations (pretending to be local small shops) get to bring their BIG bucks to influence governments and community organizations ...they got the locals to pay for a BIG chunk of their plans. It worked like a dream. Then they came to Broad Ripple. The BRVA absolutely loved it. Finally BIG money was coming to the village. Finally there was a way to make a profit from tending to the concerns of a cool little place that everybody loves. There was a river. There was a village. Finally there was a buyer. They could finally sell that village down that river. A direct payout of cash wasn't exactly necessary. Promises of cash were enough for some ...especially in a struggling economy. Promises of more business for existing shops were enough for others. Promises of (finally!) BIG-paying jobs! Let's all keep an eye on where Brooke Klejnot goes to work next! Finally, BRVA will have a BIG dues-paying member to funnel BIG thank you bucks into BRVA ...so they won't have to waste so much time representing the people, the barbershop, the health food store, the bar they don't really like. Please Say NO, Broad Ripple ...you can do it. And please Say NO all lovers of Broad Ripple ...you can help SO much! Residents and Private Citizens ...you are not being represented at all. Please show up at the BRVA sham-meetings and the City-County Building. Without you nothing can stop the developers. Small Business Owners ...you know in your hearts this will not help you. The BRVA and its new friends will BIG foot you into the dust. Professionals ...please lend a hand and friendly advice to ordinary people who are fighting back for what might be the first and last time in their lives. Elected Representatives ...help do the right thing. These TIF funds were meant for neighborhoods that haven't seen investment in decades ...not BR which just got a $17 million parking garage. A reminder on the jargon - the base is supposedly set on day 1 of the life of a TIF district and is the total value of all property then existing within the footprint of the TIF district. The fairytale always told is that that value will remain in the base and the taxes derived from it will always and forever flow to the schools and libraries and cities and towns. The increment is supposed to be all the growth in value due to new construction and redevelopment (not just inflation). The reality is that each year, the County Auditor must submit to the State Department of Local Government Finance, a form for each and every TIF district that recalculates the base. We have seen considerable erosion of the base of our TIF districts in Marion County over the years due to the calculations handled on these forms (TIF neutralization forms), with base value being converted forever into increment value. Such is our problem here in Marion County, that 16 of our 40 TIFs have seen their base drop to zero, including 5 of 6 components of the much vaunted consolidated downtown TIF. Mark Small has a report on the BRVA meeting I attended as well as BRVA's attempt to approve the project at a non-public committee meeting that got derailed when the public showed up. Again, if you want to see the worst "neighborhood" association in the City, attend a BRVA meeting...assuming they let you come as most meetings of the developer-dominated group are not open to the public. Previously I reported how AutoReturn, a San Francisco towing company that had hired a lobbyist from Barnes & Thornburg, the law firm which all but runs Indianapolis city government, had won the bid for the city's lucrative towing contract. City officials indicated they would not disclose the other bids until after the AutoReturn contract was approved. The Indianapolis Board of Code Enforcement put off voting on a new citywide towing-management contract Thursday after members said they wanted more information about the bids from San Francisco-based AutoReturn and its local competitors. “In light of what’s happened in city government in the last week, we need more oversight,” board member Susan Blair said, referencing the federal indictments of two Department of Metropolitan Development employees alleged to have accepted kickbacks in Land Bank deals. Kudos to the Board and to Susan Blair, the long-time Pike Township Resident Association President and former Republican candidate for City-County Council, for setting aside the rubber stamp and demanding some oversight. It sure would be nice to know the other bids before the AutoReturn contract is approved. Your comments reflect a fundamental disagreement I have with many people who argue for high CEO, government and nonprofit managerial salaries. Namely that you measure what we should pay these managers by what others are paying. I don’t buy that. To me the question is not what others are paying for a position, but what salary is required to attract someone to a job who is capable of doing the job well. The fact is we’re not talking baseball shortstops where there are only a few people on the planet who can play as well as Derek Jeter. That’s why Jeter is paid, rightfully, a lot of money. But if there were a ton of shortstops that play as well as Jeter, for much less, do you pay Jeter a lot of money anyway? No. There are tons of people out there who could have done a better job than [former Public Safety Director] Frank Straub, as evident from his performance. Even with [IndyGo Manager Gilbert] Holmes, I don’t see the special talent that he brings to the position that makes him somehow different from hundreds if not thousands of people who could fill that position. Again, these are not baseball shortstops where there is only a handful of people who can hit .300, with power, while playing excellent defense. The people who occupy these managerial type positions like to think they bring special, unique talents to the mix. But they don’t. They like to think that because it justifies their high salaries. But those salaries that they are paid is based on what others are paying, not what one has to pay to attract that level of talent in a free market. It’s just not a free market when it comes to executive talent. Look who sits on corporation boards approving CEO salaries...other CEOs and people making high executive salaries. They're not going to bite the hand that feeds them. If I was Mayor, I would take the Moneyball approach to getting people…reaching out to people who are outside the normal circle of recycled managerial talent. I venture to say that I could put together a team every bit as good as those Mayors paying high salaries to the same recycled managers. Added Note: That does not mean I would put 20 something year old kids in charge of managerial positions with no oversight as was going on in the Indianapolis Department of Metropolitan Development. Indianapolis will choose a San Francisco-based company to oversee city-ordered towing under a contract expected to be authorized Thursday afternoon. AutoReturn is in line for a five-year contract for towing management services, pending approval by the Board of Code Enforcement. The city issued a request for proposals in December that requested $1.5 million in annual guaranteed revenue, Department of Code Enforcement spokesman Adam Baker said. The money would come from fees collected from people whose cars are towed after accidents, abandonment or illegal parking. City records show Brian Burdick of the law firm Barnes & Thornburg LLP lobbied on behalf of AutoReturn in 2012 and 2013. 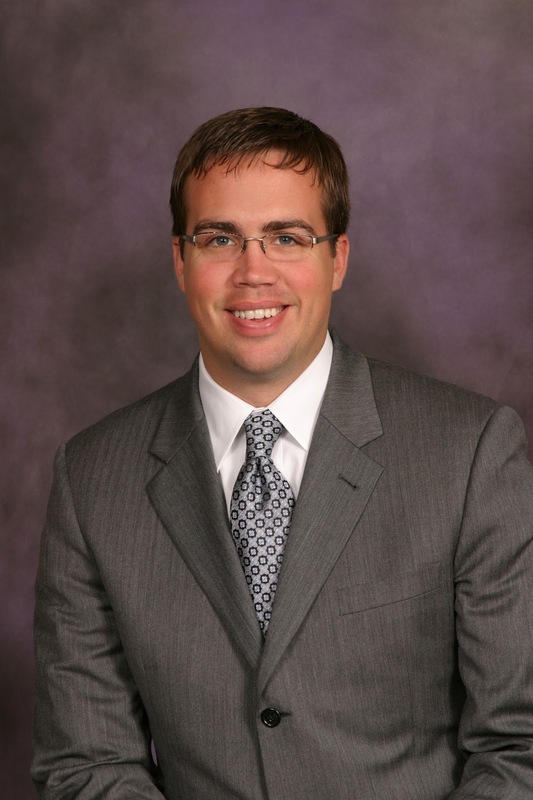 Mayor Greg Ballard's chief of staff, Ryan Vaughn, is a former Barnes & Thornburg attorney. ...Responses to the city's RFP won't be made public until Department of Code Enforcement Director Rick Powers signs a new contract, Baker said. Translation: We won't know which company had the best bid until the contract is signed when it's too late to do anything. If I had a chance to share one piece of advice with Governor Mike Pence, it would be that in performing his job that he listens to and protects whistleblowers in state government. They are his administration's eyes and ears in the far flung state bureaucracy. They are not enemies; they are his greatest allies. If a Governor is willing to have an open administration in which whistleblowers are free to come forward about wrongdoing they see, with the assurance their jobs will be protected, and the administration will investigate and act upon the information obtained, it is almost certain that the Governor's tenure will be scandal free. Unfortunately whistleblowers in the Daniels' administration were treated as traitors to the cause. Not only were they not listened to, they were fired or forced to resign by agency chiefs. Inevitably a scandal would break out at the agency, such as the Department of Workforce Development, the Department of Transportation, or the Lottery Commission, concerning the very thing the whistleblower attempted to warn the Governor's Office about. Fortunately for Governor Daniels' the blame for misdeeds in those state agencies never seemed to be blamed on his administration's failure to supervise or act on whistleblowing information. 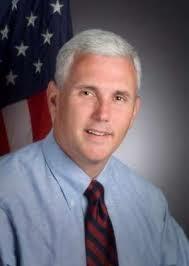 Governor Pence can't count on being so fortunate. He has far too many enemies on the left who will try to pin anything that goes wrong in state government on him. Tuesday, we saw an example of what happens when whistleblowing is not heeded. The problems with what was going on at the Indianapolis Land Bank were known by the Ballard administration. Numerous complaints had been lodged. Six months ago the Indianapolis Business Journal did a lengthy expose of the Land Bank's practices involving selling the properties to a non-profit for a $1,000 to $2,000 only to be immediately flipped to a for-profit buyer for a handsome profit. At the very best, taxpayers were being deprived of a fair return on property held by the public. At the very worst, criminal activity was involved. Either should have sparked an immediate investigation by the Mayor's Office and action to cease the activity. Not only was such an investigation never conducted by the Mayor's Office, the Land Bank manager Reggie Walton apparently felt so certain he would not get in trouble Ballard administration officials weren't he, allegedly, took a $500 bribe after the IBJ story broke. With different leadership, an investigation would have been ordered after the first credible allegation of problems at the Indianapolis Land Bank. Whistleblowers would have been encouraged to come forward and their jobs protected. Employees engaged in wrongdoing would be fired and/or turned over for prosecution. Instead we now have a Mayor tainted by a scandal that could have been easily avoided. Governor Pence should review Indiana's whistleblowing law for state employees and see if it shouldn't be made stronger. He should also review how the law has been applied. I have yet to see a state whistleblower, who has been fired or forced to resign, succeed in state or federal court. When it comes to the termination of whistleblowers, judges are loathe to enforce constitutional free speech protections or the state whistleblowing law that is supposed to protect the rights of state employees to speak out about what they see. When government employee whistleblowers find that their supervisors won't listen to them or they are fearful of losing their job if they come forward, they often turn to the media. It is essential that reporters, including citizen reporters, i.e. bloggers, be able to assure the confidentiality of their sources. Recently the Justice Department, without a court order, seized the records for more than 20 separate telephone lines assigned to AP and its journalists in April and May of 2012. While the action, an attempt to justify a leaker, was justified on national security grounds, it also had the possible effect of outing numerous other confidential sources. The effect of warrantless searches on news media organizations could have a devastating effect on the ability of those organizations to protect sources and gather information. Fortunately, Governor Pence understands the importance of reporters being able to protect sources. As a member of the U.S. House, Pence sponsored the federal media shield law designed to help the reporters protect sources. While the First Amendment and case law provides some protections, Pence's bill would have increased those protections. While the bill passed the House in 2007 and 2009, it failed to clear the Senate. Exactly. In the meantime, Gov. Pence's people should take a look at Indiana's media shield law, which only protects the traditional media. The law (IC 34-4-6 et seq.) was written in 1998, before the new media, which plays out over the Internet, began to supplant the traditional media as a news source for many people. It clearly does not apply to citizen journalists who publish material on their blogs every day, unless those bloggers are receiving an income for their work. Jim Irsay, the owner of the Indianapolis Colts,, has pledged to match fans' contributions to the Red Cross for Oklahoma tornado relief up to a whole $25,000. How generous of the millionaire made a billionaire by Indianapolis taxpayers. Irsay's contribution of $25,000 might rebuild 1/2 of one cheap Oklahoma house. 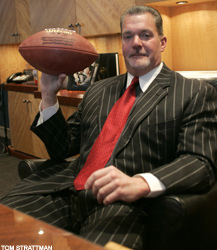 Of course Irsay couldn't make his contribution without issuing a press release because, well, he's that kind of guy. Irsay giving $25,000 is like the average person on the street flipping a nickel into the Salvation Army bucket during the holiday season. Of course the average person on the street doesn't issue a press release bragging about making such a meager donation. It has been entertaining to watch. As a result of the indictment of employees in the city's land bank yesterday, the Indianapolis Star has sharply reversed direction, suddenly deciding that alleged corruption in Indianapolis city-county government is worth reporting about. In addition to an excellent main article by Jon Murray and John Tuohy, columnists Matt Tully and Erika Smith weighed in. Smith have been afforded numerous opportunities to write about conflicts of interest and self-dealing in city government. Instead they chose to write nothing critical. In fact, both columnists have praised Indianapolis' pay-to-play culture that has resulted in so much corporate welfare and drained the city of resources to pay for basic services. Their answer to the latter is not to constrain corporate welfare, but to advocate raising taxes. With regard to Erika Smith, the Star's municipal columnist, her obsession with writing columns promoting mass transit has apparently impaired ability to notice anything else going on in the City. Some specific examples. The City simply gave $6.35 million of the public's money to Keystone Construction, a major contributor to the Mayor, and which company employs a former Deputy Mayor, to build the Broad Ripple parking garage. Keystone and its corporate partners get 100% ownership, 100% of the parking revenue, and 100% of the commercial rents. We, the public, get nothing. Did Tully or Smith ever pen a column criticizing this deal? Nope. Then you have the ACS parking meter contract which locks the city in for the next 50 years to giving away 70% of the parking meter and ticket revenue to ACS and its corporate allies, recast as "ParkIndy." The Mayor's attorney, Joe Loftus, and Council President Ryan Vaughn, were both lobbyists for ACS when the parking meter deal was proposed. Vaughn even cast the tie breaking vote. Did the Star report critically on those conflicts, as well as the important details of the deal, including the provision which made it impossible to ever exercise the every 10 year cancellation provision, a comprise city leaders claimed protected taxpayers? No. Tully, however, did discuss the ACS deal in his column. Of course, he didn't mention any of the conflicts or troubling details of the agreement. He said the deal, in which the City gives away an estimated $1 billion in revenue over the next 50 years to a private company all for the "risk" of fronting $8 million for new meters, "makes sense." Yesterday, U.S. Attorney Joe Hogsett, as he handed down five indictments, talked about Indianapolis having a "culture of corruption." That culture only exists and grows when it is not exposed to the sunlight of public scrutiny. The chief source of that scrutiny is the daily newspaper. While bloggers, weekly publications like the Indianapolis Business Journal and television stations can do some of the reporting on city government operations, there is no substitute for vigilant reporting by a daily newspaper acting. to shore up the falling circulation of the Indianapolis Star. Karen Crotchfelt was appointed as publisher. Earlier in the year, Jeff Taylor was appointed Editor in Chief. Crotchfelt replaced Michael Kane while Taylor replaced long-time Editor Dennis Ryerson. Under Kane and Ryerson's leadership the quality of the Star had declined dramatically. In depth local reporting was dismissed. Most of the newspaper became AP articles seemingly published to fill out the every decreasing size of the newspaper. Instead of reporting critically, the newspaper had become a cheerleader for the local political and business establishment. As the Internet boomed in popularity, people increasingly turned to blogs and other online material to find the objective, critical content about Indianapolis politics they so craved. Enter Crotchfelt and Taylor. From their opening comments it seemed they were oblivious to the Star's real problem - content. Crotchfelt concentrated on improving technology while promising (threatening?) to continue with the content that the Star had been providing since before she took over. She also talked about being a "partner" with the local community, a sign that she ascribed to the view that the role of the daily newspaper is to promote what the political and business interests of the City want, not to play the traditional role as a watchdog. If the Star's leadership had allowed reporters to do critical stories on City Hall instead of using the paper to simply be a cheerleader for everything city leaders want to do, the environment that resulted in the Land Bank scandal might never have happened. Over in the Twitter-universe, WTLC's Amos Brown asks the question why people so young were placed into such important positions within the Ballard administration. The two city officials, Reggie Walton, 29, was head of the land bank and assistant assistant administrator of Indianapolis' Department of Metropolitan Development while John Hawkins, 27, was senior project manager for the agency. By far one of the weaker links in the Mayor's Office has been the poor quality of legal work and advice coming from City Legal, which I think is due chiefly to the failure of the Mayor to put into supervisory positions experienced attorneys. 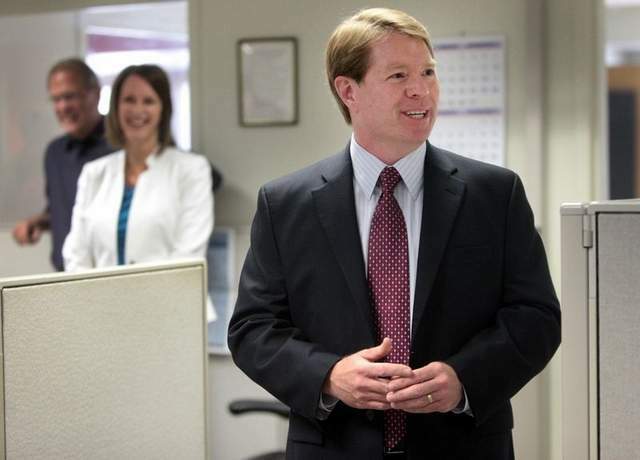 Chris Cotterill, had less than five years experience (I don't think any in litigation) when he was appointed head of entire City Legal, which is made up of approximately 27 attorneys, bigger than most law firms in town. Jonathan Mayes, who had two years experience, was appointed head of the litigation division of City Legal. As any trial attorney will tell you, there is no substitute for actual experience when it comes to litigation, even more so when you're supervising other attorneys involved in litigation. Now as someone with 21 1/2 years legal experience, I can't imagine supervising a team of trial attorneys when I only had 2 years of litigation experience. Cotterill being too inexperienced for the positions he received in city government is not an aberration. If you look throughout city government you will often find younger, less experienced management heading up older, far more experienced employees. Why the preference toward younger, inexperienced people in city management? Very simple. People who are older and more experienced are going to be more independent-minded and question when they're told to do things that seem unethical or improper. Younger people, who have only recently stepped onto the career ladder, are not going to question what they're told to do, especially when they're being told to do those things by the political power brokers who got them the job in the first place. In a press conference announcing the arrest of five individuals, including two city employees, in a bribery and kickback scheme involving the Indianapolis Land Back, U.S. Attorney Joe Hogsett, said Indianapolis' "culture of corruption" would not be tolerated. The comment was the first public recognition by an government official of the systemic corruption in Indianapolis that bloggers like Gary Welsh of Advance Indiana and others have written about for years. 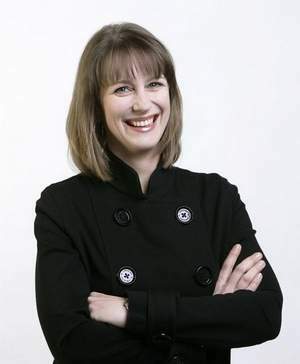 While bloggers have often led the way in discussing the issue of corruption, the Indianapolis Business Journal and to a lesser degree, television reporters have done excellent stories broaching the subject. Meanwhile the Indianapolis Star and politicians have remained silent. Until today. At the press conference this afternoon, Hogsett stood up and told the truth, that there exists in Indianapolis a culture that is inviting to those who want to engage in conflicts of interest and make themselves and their friends rich at taxpayer expense. 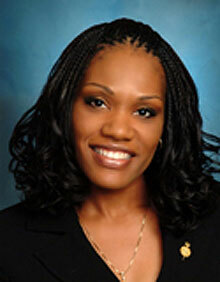 Due to my work in the mortgage and real estate industry, I am familiar with scams involving property. Most scams are so complicated lay people can't possibly understand them. But this was one was remarkably simple. The Indianapolis Land Bank acquires title to numerous abandoned properties in Indianapolis. Under Indiana law, the properties are to be auctioned off with the high bidder receiving the property. But the law had an exception for non-profits which were allowed to buy the properties from $1,000 to $2,000 apiece. The indictments allege that the Indianapolis Land Bank sold the property to nonprofit organizations which then sold them at much higher prices to investors. The nonprofits and Walton, and some instances Hawkins, at the Land Bank, allegedly received a kickback. Walton also, is accused of being a silent partner with one of the for profits companies that received property. While it is certainly good to see the action Hogsett has taken on this case, the circumstances that led to the indictment of Department of Metropolitan Development Land Bank Director Reggie Walton and John Hawkins, a senior project manager for the city-county Department of Metropolitan Development and one-time special assistant to Indianapolis Mayor Greg Ballard, raise other questions. It is difficult to believe that whistleblowers did not tip off the Indianapolis Mayor's Office about what was going on at the Land Bank. But even if that didn't happen, in a November 3, 2012 article, IBJ reporter Cory Schouten laid out the details of what was going on at the Indianapolis Land Bank back. That was 6 1/2 months ago. That was plenty of time for Mayor Ballard to order an investigation in response to the story and make sure the heads of those responsible rolled. That didn't happen. Walton and Hawkins remained in their jobs until today when they were suspended them without pay. There is unfortunately an explanation for why the Mayor and his staff failed to take action and it is not pretty...namely that what Walton now stands accused of doing isn't qualitatively different than what is going on throughout city government where officials, government contractors, and attorneys are using their positions to enrich themselves and their friends. Yes, it is a "culture of corruption." 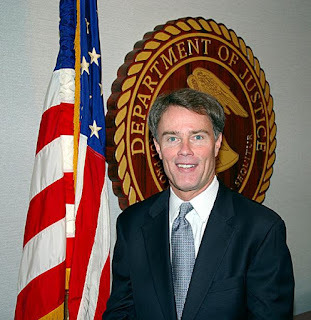 U.S. Attorney Joe Hogsett got that right. We used to have real autumns, periods before winter, of several weeks, during which deciduous trees turned spectacular colors. Now we seem to go straight from summer to winter. Summers used to get hot around mid-July. The hottest time was in mid-August. Now we heat up in May. 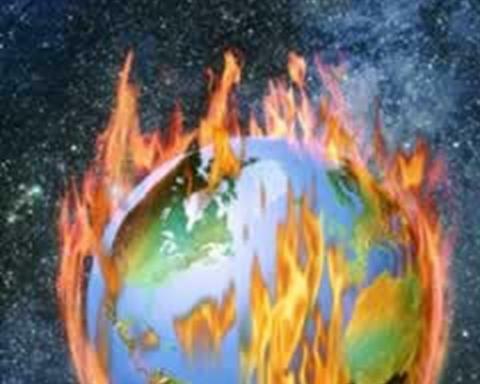 The temperatures of the planet have increased more rapidly than at any time during human existence. Things become even more complex. With massive changes in temperatures have come chaotic changes in storms. Yes---the huge tornado that hit Oklahoma last evening is an example of the effects of global climate change. The droughts and heat waves of the past ten years are part of the ecological shift caused by humans' efforts to spew crap out into the environment. For 4.5 billion years this planet has cycled through short and long term heating cooling trends. The short term trends last tens of thousands of years. The long terms trends last hundreds of thousands if not millions of years. A human being on this planet, who lives to say 80 year, will only see a tiny, tiny fraction of that time. The notion that that human being can use observation during his life to make long-term conclusions about the direction of the environment is, well, preposterous. Of course, the alarmists prefer now to use the word "climate change" (actually "global climate change" sounds more ominous) instead of "global warming" because they know that the climate is always changing and thus they can never be wrong. I refuse to take that bait about redefining the debate. They're talking about global warming...that's their claim. Mark says we're heating up in May. That's funny. I almost had to turn on the heat this morning it was so cool. Or let's forget that for most of the past nine months we've had below normal temperatures in Indianapolis. Of course such short term looks at the weather as emblematic of long term trends is nonsense. But if the alarmists are going to do it every time they want to try to prove global warming, they should expect those same tactics in return. But what about the increase in hurricanes and tornadoes? Isn't that proof global warming is happening, that we're wrecking the environment? Well, here's the thing. The data and scientists do not support the premise. A top official at the National Oceanic and Atmospheric Administration (NOAA) rejected claims by environmental activists that the outbreak of tornadoes ravaging the American South is related to climate change brought on by global warming. Greg Carbin, the warning coordination meteorologist at NOAA’s Storm Prediction Center in Norman, Oklahoma, said warming trends do create more of the fuel that tornadoes require, such as moisture, but that they also deprive tornadoes of another essential ingredient: wind shear. Asked if climate change should be “acquitted” in a jury trial where it stood charged with responsibility for tornadoes, Carbin replied: “I would say that is the right verdict, yes.” Because there is no direct connection as yet established between the two? “That’s correct,” Carbin replied. New data from the National Oceanic and Atmospheric Administration show the past 12 months set a record for the fewest tornadoes in recorded history. Not only did Mother Nature just set a record for lack of tornado activity, she absolutely shattered the previous record for fewest tornadoes in a 12-month period. During the past 12 months, merely 197 tornadoes struck the United States. Prior to this past year, the fewest tornadoes striking the United States during a 12-month period occurred from June 1991 through July 1992, when 247 tornadoes occurred. The new tornado record is particularly noteworthy because of recent advances in tornado detection technology. 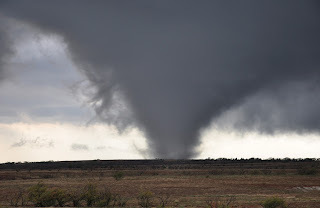 The National Oceanic and Atmospheric Administration (NOAA) is able to detect more tornadoes in recent years than in prior decades due to technological advances. Even with such enhanced tornado detection capability, the past 12 months shattered all prior records for recorded tornadoes. 1954-present.” Notably, each of these low-tornado periods occur since 1986, precisely during the time period global warming alarmists claim global warming is causing more extreme weather events such as tornadoes. Hurricane inactivity is also setting all-time records. The United States is undergoing its longest stretch in recorded history without a major hurricane strike, with each passing day extending the unprecedented lack of severe hurricanes, according to National Oceanic and Atmospheric Administration data. It has been more than 2,750 days since a major hurricane struck the United States. This easily smashes the prior record of less than 2,300 days between major hurricane strikes. 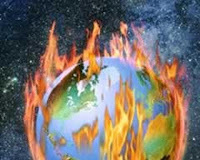 Although global warming activists and their media allies often claim global warming is making extreme weather events more frequent and severe, virtually all extreme weather events are becoming less frequent and less severe as our planet gradually warms. Also, as I reported earlier on my blog, a research meteorologist, who supports the anthropogenic global warming theory, did a 100 year study of Atlantic hurricanes expecting that they increased while warming increased. The "drought" claim as proof of global warming I find the most interesting. Mark is being inconsistent by claiming increased droughts and increased tornado activity since moisture is required for a tornado. Carbin, the "warming meteorologist" at NOAA, confirms this when he says that warming causes more moisture, i.e. "fuel" for tornadoes. As Carbin correctly notes, the global warming theory is that the United States will receive MORE precipitation in the United States because of warming, not less. Soil moisture is in long-term improvement at nearly all sites in the Global Soil Moisture Data Bank. Droughts are less frequent and less severe than in prior, colder centuries. The number of wildfires is in long-term decline despite a recent change in wildfire policy that no longer actively suppresses wildfires. Just about any way you measure it, extreme weather events are becoming quite rare. Facts are inconvenient things. It's so much easier to rely on anecdotal evidence to support the global warming alarmist theory than to rely on objective facts to support that theory. Thursday,May 23, 2013 at 6:00 p.m. Proposed development by Browning Investments, Inc. The Broad Ripple Village Association Board of Directors will host a Public Meeting on Thursday, May 23, 2013 at 6:00 p.m. at Broad Ripple United Methodist Church located at 6185 Guilford Avenue. The meeting will be held in the Sanctuary and is open to the public. The goal of the meeting is to disseminate information regarding the proposed development of the former Shell Gas Station at 6349 College Avenue and the apartments nearby. The BRVA will invite representatives from the developer, City and Whole Foods to participate in a panel. The meeting will be moderated by the BRVA. Community feedback is very important and time will be available for Q&A. So BRVA claims to be interested in the public's feedback on the project, but on the panel for the program, BRVA invites three representatives who support the project and none opposing it. BRVA obviously has no interested in a balanced presentation on the subject. Then again, I'm not sure the BRVA's Board of Directors has ever cared about what the people who live and work in Broad Ripple actually want. Of course, one of the big issues being raised is Broad Ripple-based Good Earth having competition for the organic food market from Whole Foods. To me, in a free market Whole Foods has every right to move in next door to Good Earth if it so chooses. The problem is that this development is going to be subsidized with tax increment financing (TIF) dollars, i.e property taxes. Our tax dollars should not be used to subsidize the profit margins of developers and already successful businesses. Thursday, September 20, 2012, Battle Brews in Broad Ripple: Arts Community Wants to Make Historic Central Canal Towpath an "Arts Destination"
Want to buy a cold beer in Indiana? Walk into a bar, restaurant or package liquor store and you can readily find a frosty brew to take home and quench your thirst. But head to a grocery store, gas station convenience store or pharmacy, and you’ll be taking home warm brews. Convenience store owners say that just doesn’t make sense — and beyond that, they don’t think the state’s law is constitutional. For years, they have fruitlessly tried to persuade lawmakers to overturn the statute that limits who can sell carry-out cold beer. Now, the Indiana Petroleum Marketers and Convenience Store Association, several store owners and a customer are suing Indiana in federal court to overturn what they are calling an outdated, antiquated and irrational state law. “There is no logic in the current law that gives one class of retailer an exclusive right over another,” said Scot Imus, the association’s executive director. Indiana has a hodgepodge of strict liquor laws passed in the 80 years since Prohibition ended, passed amid evolving religious, social and economic concerns. 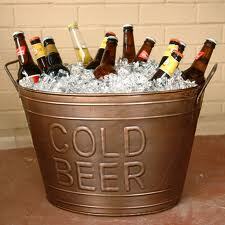 Now, Indiana is the only state that restricts the sale of cold beer. Hoosiers also face the broadest restrictions in the country on the sale of beer, wine and hard liquor on Sundays. Only breweries, wineries, restaurants and bars are allowed to sell carry-out alcohol on Sundays. Efforts to overturn those restrictions failed yet again in the past legislative session. The powerful package liquor lobby says the stores it represents would go out of business if the restrictions were overturned. Religious groups argue against increased consumption. Social organizations such as Mental Health America of Indiana say loosening restrictions would lead to more underage drinking and drunken driving. In support of their claim, attorney John R. Maley points to a similar case last year in which a Kentucky federal judge ruled that prohibiting liquor and wine sales in grocery stores, gas stations and convenience stores violated the Equal Protection Clause of the U.S. Constitution. The article goes on to quotes David Orentlicher, a former legislator and law professor at the Indiana University School of Law at Indianapolis, who said he expects the ruling to be overturned on appeal due to the very low standard - rational basis - states need to use their police powers to make these sorts of distinctions under the Equal Protection Clause. Orentlicher is correct about the legal hurdle being high in this case. As others have pointed out though, liquor stores, which benefit of course from Indiana's restrictions on the sale of cold beer, also face restrictions of their own in terms of the food products that they can sell. Would these plaintiffs complaining about not being able to sell cold beer, be okay with allowing liquor stores to sell candy bars, soft drinks, chips and other products that have even large profit margins? Of course, that's a discussion about what is good policy. Just because a law is bad doesn't make it unconstitutional. A week or so ago, Governor Mike Pence signed into law the state budget, including a repeal of the Indiana Inheritance Tax. Indiana's Inheritance Tax is not a tax on the estate, but rather a transfer tax, i.e. a tax on the individuals who receive money or property at a person's death. Although it is a tax on the beneficiaries, the estate collects and remits the tax. Because the amount of the exemption and tax rate depends on how close of a relationship between the beneficiary and the decedent, the tax can be very complex to figure if there are a number of bequests in the will. 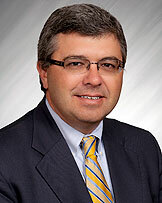 In the bill, the Indiana Inheritance Tax is repealed retroactive to January 1, 2013. Clearly any person who died after that time, his or her estate will be governed by the new rules. However, given the minimum time an estate can be opened was reduced from five to three months several years ago, it is possible that a few estates opened in early 2013 have been closed and paid the inheritance tax for which a refund is now owed. But what about the estates in which the decedent died before January 1, 2013 and the estates are still open? The quick answer would be that the estate has to collect and remit the inheritance tax. But is that right? Again, the Indiana Inheritance Tax is not a tax on the estate. It is a tax on beneficiaries who are transferred money and property at the conclusion of the probate proceeding. I would argue that the inheritance tax should not be collected on any estate closed after 1/1/2013. I expect, however, the Indiana Department of Revenue will choose a different interpretation. Given how hard this tax can hit unmarried couples, I also expect this issue will end up in litigation. As I was browsing the Chicago Tribune's website this morning, I noticed something familiar when I read the headline, "2 charged after FBI robbery probe ends with 1 suspect dead." Hadn't I just read a similar headline in Indianapolis within the past day? I went back to the Star's website and found this headline: "FBI identifies trio of suspects in Plainfield bank robbery." A sub-heading added, "Indianapolis man was shot, killed by federal agents; 2 others in jail." Two bank robberies occurred in separate suburban cities in neighboring states on the same day involving three armed robbers, and the FBI was at the scene of both robberies when they occurred to pursue the suspects, capturing two and killing one after a shootout. What are the odds? The robbery reported by the Tribune took place in Richmond, a northwest suburb of Chicago. Indeed, what are the odds? This may simply be good detective work by the FBI, getting leads on planned robberies through legal methods and following up on those leads. On the more sinister side, perhaps it is the feds, in the course of routinely monitoring people's cell phone conversations and emails, coming across robbery plans and responding accordingly. The latter would suggest a search that is not legal and a breach of people's civil liberties that is disconcerting. 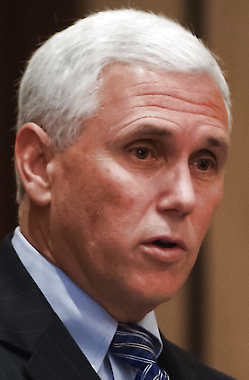 Today, Governor Mike Pence signed Senate Bill 621, the bill that significantly increases the Mayor's power over spending, including over separately elected county officials, eliminates the four at-large seats on the Indianapolis County-Council, eliminates the requirement for annual approval of the Mayor's appointments to director and deputy position, increases the Mayor's appointments to the Metropolitan Development Commission and provides for central counting of absentee ballots in Marion and Lake Counties. In short, the bill substantially increases the power of the Mayor while decreasing the power of the elected City-County Council. By eliminating the four at-large seats, it also improves the odds the Republicans can win the Council back in 2015 despite the increasingly Democratic numbers in the county. It appears from his veto message that Governor Pence was most supportive of the provision giving the Mayor more power over spending. While it's true that the Indianapolis Mayor would be given power comparable to mayors in other cities, the problem with that argument is that Indianapolis is not like the government in other cities in that we have consolidated city-county government. Now separately elected county officials in Marion County, all Democrats will be at the mercy of the Republican Mayor when it comes to their spending. It appears that Governor Pence was most bothered by the provision eliminating the four at-large seats, which, while it was presented as a cost-saving measure, is most certainly also aimed at giving the Republicans help in Democratic Marion County. Brian Vargas, who is identified by the Indianapolis Star as a political consultant and former political science professor, is quoted as saying that Governor Pence had to sign the legislation to appease the GOP establishment which has never been enamored with Pence. I'm not sure if that is a reference to state Republican leaders or local Marion County GOP leaders. If the former is the case, the only provision that actually helps Republicans is the elimination of the at-large seats. More than likely the political pressure came from the GOP Marion County leadership which seems more focused on giving Mayor Ballard more power while reducing the council's authority As I've noted in these pages before, that's a shortsighted approach. Long term, the Democrats are set to control every office in the county, including the Mayor's Office, and the only significant power Republicans will have is on the Council, either with a majority or, more likely, a significant minority. What is not well understood by those not enmeshed in Marion County GOP politics is that a small cadre of Republicans control the power in the county. They could not care less about conservative political ideas, like cutting taxes and reducing spending, and instead view government mostly as an avenue of making money. That small group of leaders do not reflect the views of the GOP grass roots workers, or what's left of them, or the Republican electorate in Marion County. Indeed that small group of leaders after 2007 chose to utilize their power that came with the Mayor's Office to enrich themselves and their friends rather than do the hard work necessary to rebuild the Marion County GOP into an organization that could win elections in an increasingly Democratic county. Let's take a look now at the political impact of SB 621 in light of the approaching 2015 municipal elections. SB 621 AS POLITICAL ISSUE: Several Marion County Democrats have expressed the opinion thatmayorship and they've failed to exploit those issues. Whether it is giving the Pacers $33.5 million while libraries are closed and public safety is cut, whether it is entering into a 50 year parking meter contract that is worth over a billion dollars to a company the Mayor's attorney and President of the Council lobby for, whether it is using the public's money to build a parking garage in Broad Ripple that a political contributor will own and collect all the revenue from, the Democrats have repeatedly dropped the ball on making a distinction between what they do and Mayor Ballard has done. The most recent example of Democrats fumbling an issue was the proposed 50% increase in local car rental tax and 67% increase in admissions tax, 75% of which money that is raised goes to the CIB, which then of course gave Irsay $2 million to add two new suites to Lucas Oil Stadium. Instead of making the Republicans own those tax increases by making them vote as a bloc, Democratic leadership on the council agreed to share blame providing an equal amount of votes to those provided by Republicans. I don't buy that SB 621 is a good issue that will resonate with public. I think the voters will view it as "inside baseball," with the possible exception of the loss of the at-large seats. But even that can be quickly defended in a 30 second spot as a cost cutting measure. Still SB 621 can be a winning political issue, but in another way. It can be leveraged for the Marion County Democratic Party to raise funds and rally its base in Marion County. The Democrats appeared to suffer from lethargy in the 2011 municipal campaign. Well that's over with SB 621. Expect local Democrats, unlike last election cycle, to go full bore attacking Ballard for everything. And that's where the mistake was made before the 2011 election. The book on political strategy is that you have surrogates (such as Democratic members of council and the Democratic county chairman) attack and define the incumbent mayor well before the election so that when a eventual challenger is nominated, he or she doesn't have to take the inevitable flack running hard negative ads against the incumbent. BIPARTISANSHIP ON THE COUNCIL IS DEAD: Local Democrats are angry that SB 621 was sprung on them without input and they were not made partners with the development of the changes contained in the bill. They appear hurt and betrayed by Mayor Ballard pushing the changes, apparently without even notifying the council majority. Expect that the Democrats support of Ballard's proposals to end. 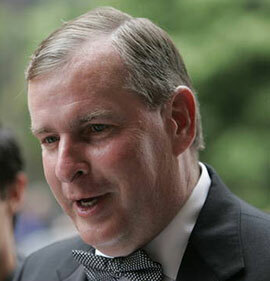 Expect the rhetoric and challenges to Ballard's pro corporate welfare agenda to increase. MAYOR'S RACE: On a recent Sunday morning TV show, Mayor Ballard's political consultant Jen Hallowell commented that the Mayor would be running for a third term. I don't buy it. Greg Ballard has beaten the odds twice in Marion County, due almost completely to Democrats shooting themselves in the foot in 2007 and 2011. The smart money is that Ballard doesn't risk a third attempt at challenging fate and accepts some sort of appointment or perhaps a position such as head of the American Legion. On the Democratic side, they are almost certain to put up a heavy hitter and put everything behind that candidate due to the increased importance now of the Mayors office. Democrats cannot afford to have a Republican Mayor unilaterally reducing the budgets of Democratic countywide officials. Expect the Democrats to easily win the Mayor's race in 2015. COUNCIL RACES: Currently the council map draw Republican operative David Brooks on behalf of the lame duck Republican majority following the 2011 election is being challenged in court. The challenge centers on statutory language that the council maps be redrawn by the council in the second year after the census, i.e. 2012. Republicans claim to have satisfied that requirement by the council passing it in 2011 and the Mayor signing it in 2012. I doubt the Indiana Supreme Court, where this case is eventually headed, will uphold the Republican lame duck map. Most likely the Supreme Court will, once again, redraw the districts in a fashion similar to the way it was the Court ended up drawing the maps after the last census, i.e. with 25 compact districts with no regard to partisanship of those districts. It appears that Brooks, charged with the task of getting 15 Republican districts in order to offset the inevitable 4 at-large Democrats on the 29 person council, had to cut the margins too closely on the Republican seats. If he would have known that the 4 at-large seats were being eliminated, he could have drawn 13 more solid Republican districts and possibly assured the majority. The Brooks map is not as bad for Democrats as Democrats seem to think it is. There simply isn't enough Republican vote, in particular on the north side of Indianapolis, to create as many Republican districts there as Brooks did. The numbers are sliced razor thin and the Republican majorities don't hold up when you look at the election results. I think it almost certain that the Council majority will go to the Democrats in 2015. But even if the Republicans somehow prevail or have a significant minority on the council, SB 621 will have significantly cut the council's power in dealing with a Democratic Mayor. Bottom line, the political impact of SB 621, beyond 2015, is that the Republicans in Marion County lose while the Democratic Mayor elected in 2015 wins.